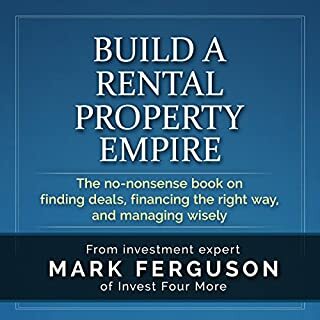 Learn the best way to invest in rental properties in this audiobook written by real estate expert Mark Ferguson. Mark is a successful rental property owner, fix and flipper and real estate agent. Mark bought his first rental property in December of 2010 and now has 16 rentals. Over the years, he has learned the best way to find rentals, get great deals, manage properties, finance properties, find great markets and build wealth with rentals. Enjoyed the flow and presentation of this book. No overly complicated concepts, just applicants to use. This is a very applicable productivity book with great advice and concept. 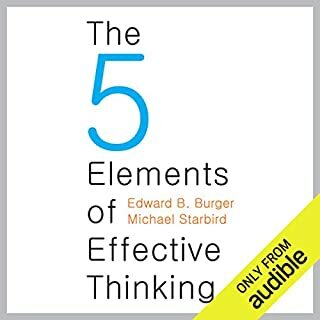 I can't wait to review the book and start applying the fundamental beliefs outline in the chapters. I really appreciated how the author takes off so many layer of expectations. Ultimately revealing, to ourselves, we are not subject matter experts as social pressures encourage us to be. We are not until we go through a more profound learning process outlined in this book. 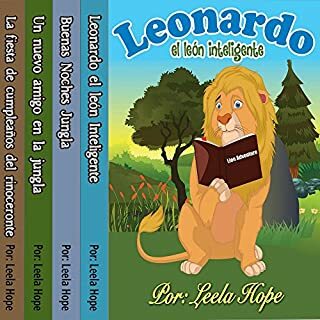 Leonardo el león inteligente y sus amigos quieren sorprender a su amigo el rinoceronte el día de su cumpleaños. Pero cuando Leonardo se da cuenta que su amigo está triste, debe asegurarse de que la fiesta se lleve a cabo en tiempo y forma. La hormiga aprende que incluso las personas más pequeñas tienen mucho para ofrecer. La historia está narrada de una forma muy linda y se vuelve real con las increíbles ilustraciones. Esta historia es diversión garantizada para todas las edades. Great job with excitement, carisma and distinguish between characters. I recommend this book for those learning Español and children. 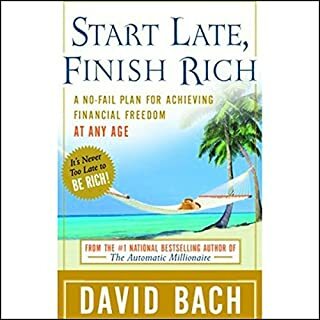 Start Late, Finish Rich applies David Bach's financial wisdom to all those who forgot to save (or just plain procrastinated) and are worried that it is too late to achieve financial freedom. For those who worry that they'll never be able to retire on their current savings, hope and help have arrived. David's message is that it is never too late to finish rich. A great book with a great plan and action steps. 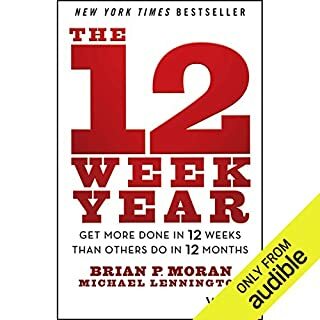 I going to listen to it every month for the next 12 months and utilize the action steps. 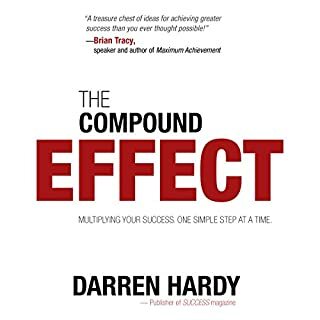 Darren Hardy, publisher and editorial director of Success magazine, presents The Compound Effect, a distillation of the fundamental principles that have guided the most phenomenal achievements in business, relationships, and beyond. A great listen for years to come. Age old wisdom with immediately applicable principles. Action step and dismissals resources to ensure success. 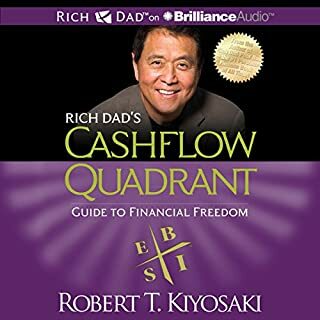 The Rich Habits are 10 principles created through years of researching the daily success habits of the author's wealthiest clients. These 10 simple principles miraculously transform every individual who comes into contact with them. By applying these principles, you are literally walking in the footsteps of the wealthy. 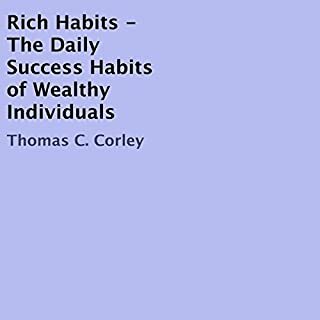 In Rich Habits, Tom Corley provides a step-by-step financial success program that is concise, easy to understand, and even easier to apply regardless of your age, education, or income level. Added to my every year library to keep me going in the direction few wish to travel.